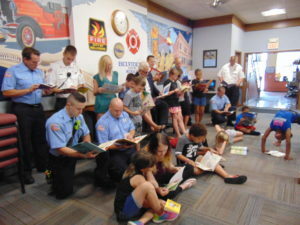 Mayor Mike joins YMCA kids at the Belvidere Fire Station to spend Read 815 time with Chief Hyser and the firefighters. 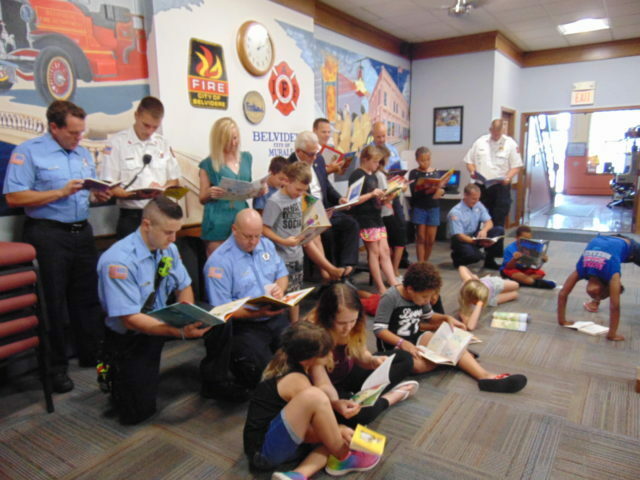 The Read 815 program is designed to get both children and adults reading. The objective is for each person to read a book a week to keep their brain active, stimulated, and learning new things. Read two books and come to the Belvidere Daily Republican office, 130 S. State St. and I will give you a pass to the Wild West Town in Union. The BDR will keep you posted as other sponsors join in. 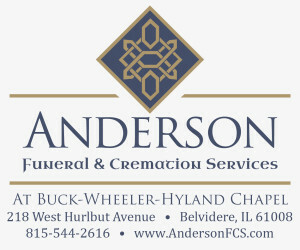 For complete article, please pick up the Aug. 1 BDR.